I wrote about mine in past posts (here and here) but ever since PB has updated their design, my implementation has become broken. The method I used was no longer working… overall the tool was very popular, was reposted a few times and I received lots much valued feedback for it :) but I didn’t continue because I didn’t need it myself, among other things. Anyway, the new Photobucket design is ugly, I probably don’t need to tell you that, and they had been holding off the slideshow feature for quite some time. Recently it was implemented and I hoped my script would work without much modifications… but alas, they just had to redesign it all. 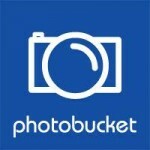 First I wrote about a method to grab someone else’s pictures from photobucket and I provided a script to do so, even though the method was working, the script was rather primitive and not automated at all… well it was OK for my one time use. But now when I have more stuff to grab and I have to update the album constantly, it is not very nice as I have to do it all over again. So I decided I’ll make a better, fully automated script and here it is.